You’re going to love this. 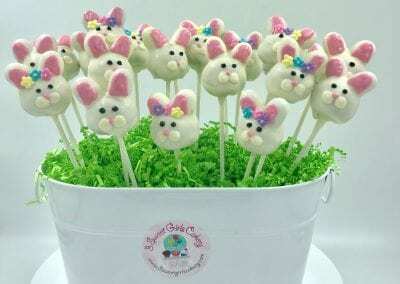 Cake Pops are decadent cake and icing, combined and hand-rolled, then dipped in chocolate and decorated with sprinkles, sugars, and/or drizzles. 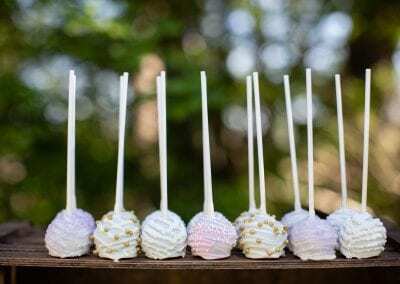 They are like a cake truffle and they’re super delicious! 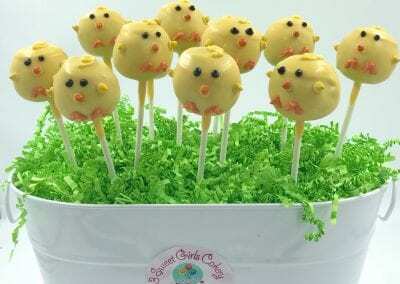 We offer a broad selection of cake pops in a variety of flavors daily in both of our stores. Choose your favorites on the spot or order ahead of time. 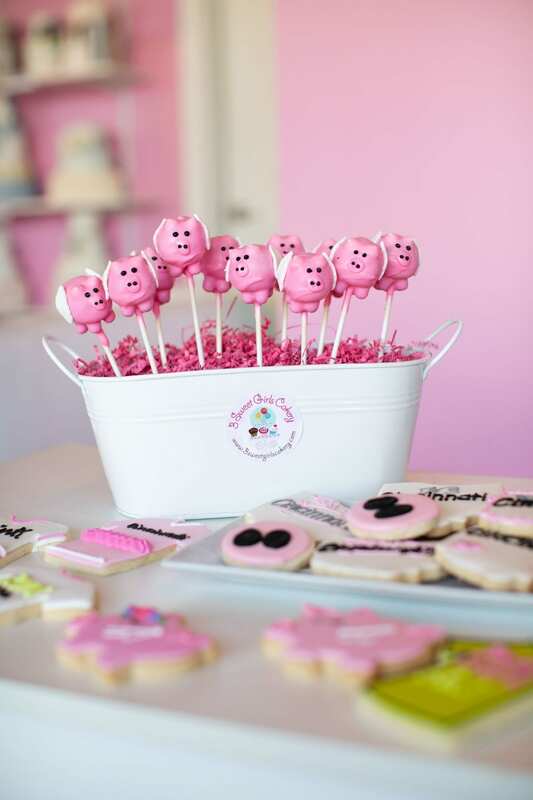 We’ll even customize the colors to your specific event and package them in our signature pink box! 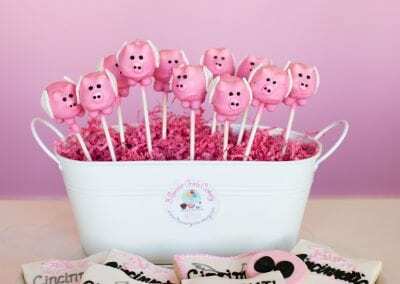 Cake pops make great centerpieces, party favors, and thoughtful gifts. 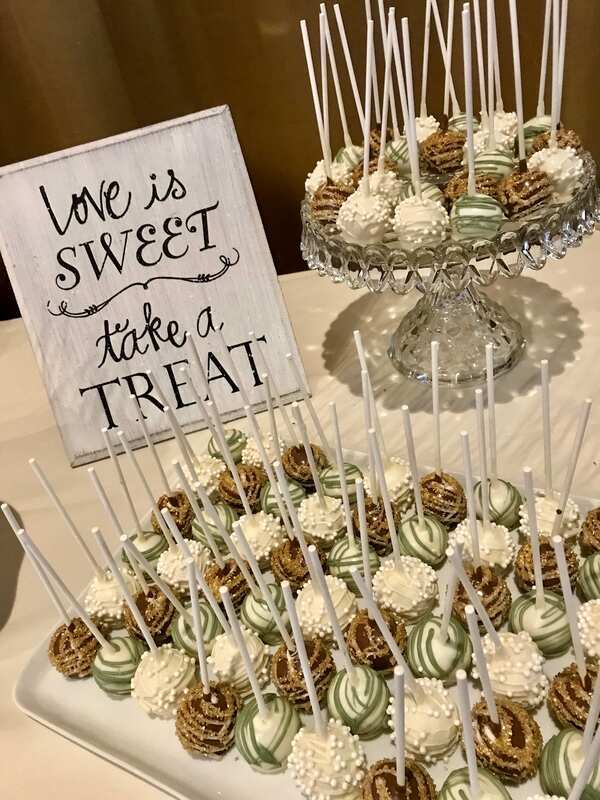 They are perfect for weddings, wedding showers, engagement parties, baby showers, bachelorette parties, birthday parties, corporate events, open houses, book clubs, holiday parties, baptisms, trade shows, sporting events, and family reunions. 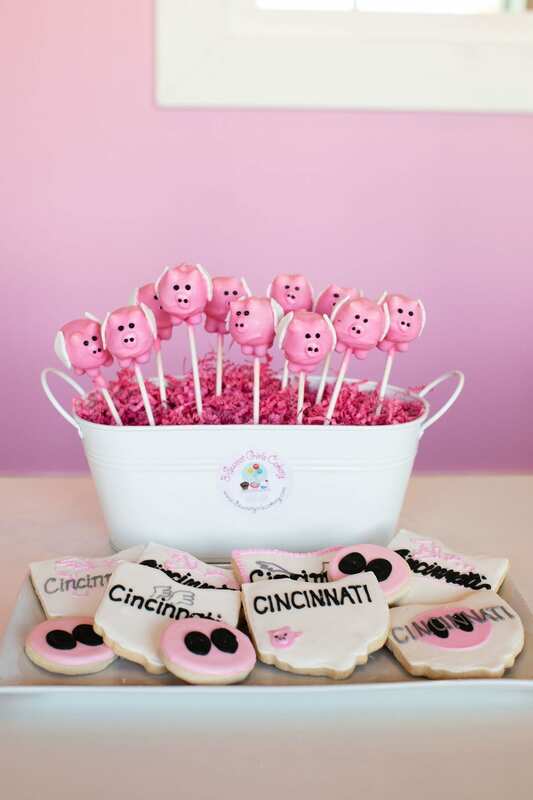 Check out our signature Flying Pig cake pop that celebrates our love for Cincinnati. See pricing below and call or email with any questions. When placing orders you must order a minimum of one dozen of any flavor. You may select your sprinkle or sugar color for decorating. 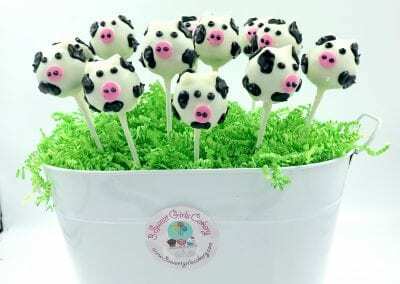 You may have one type of chocolate per dozen of our regular size cake pops. Yes!…We can make your favorite flavor Gluten Free!!! 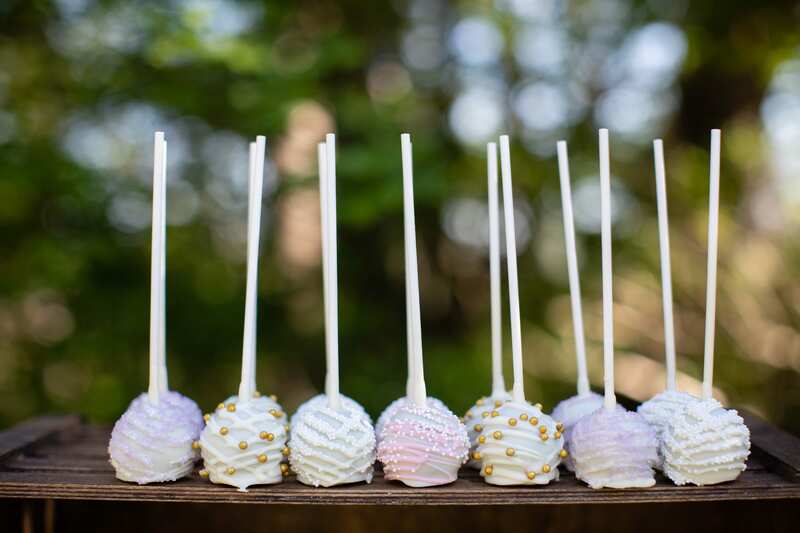 You can call anytime for an assortment of cake pops from our store selection. 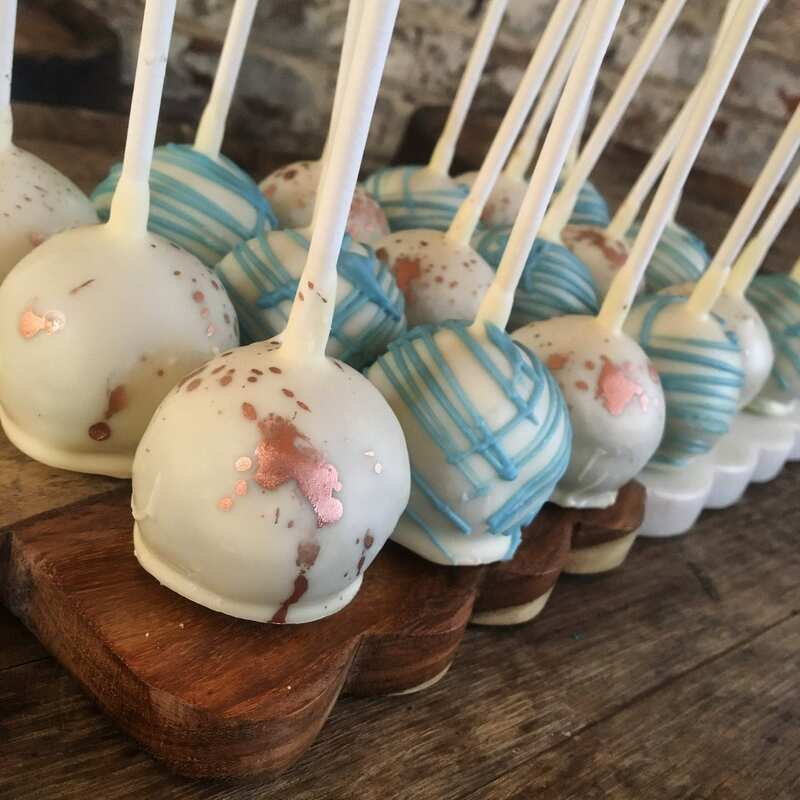 For specialty orders and flavors, you’ll need to order a minimum of 1 dozen cake pops and customized orders must be placed at least 1 week in advance. 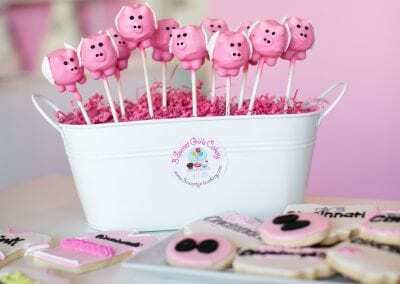 You can also have each cake pop individually wrapped and tied with ribbon for an additional 50 cents each. 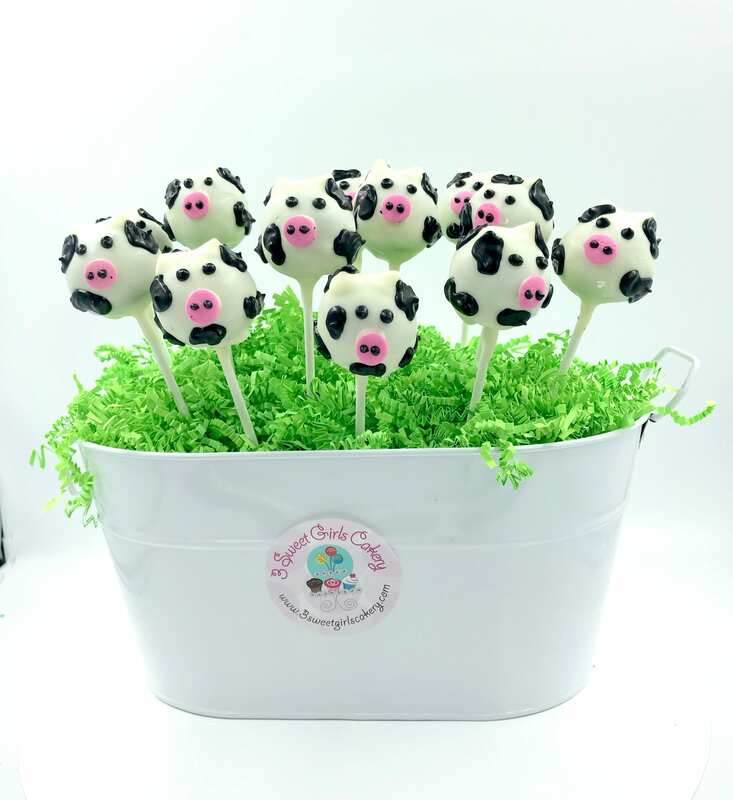 Say ‘thank you’ or simply brighten someone’s day with cake on a stick in a big beautiful arrangement like the ones below!